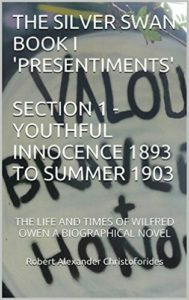 Contact Us if you have any comments, suggestions, queries or web errors to report regarding this website at www.wilfredowengrandepicnovel.co.uk or questions to Robert regarding the novels, please enter your text and submit for our action. Please include your name and email address plus phone if you require a telephone response. We aim to get a response to you within 5 working days.